– No book in the history of time has ever been written without a plentiful supply of hot water. First, there’s a morning coffee or five. At some point overnight human beings forget how to string a sentence together, resulting in the type of warblings more usually associated with someone attempting to learn a new language. Coffee is the only known cure. After about ten in the morning, the need for tea kicks in. Twinings is a personal favourite but any tea will do. Proper tea, though. There’s a box of something called “Redbush and Vanilla tea” in our house thanks to Mrs W, which is an utter abomination. A crime against humanity. I’ll give an honourable mention to hot chocolate, too. It’s the lesser-known of the three – flashy and a bit smug. It knows it’s got ‘chocolate’ in the title so thinks it doesn’t have to work as hard for your attention. That said, it’s a good early evening kick up the arse when you’ve wasted the day looking at YouTube videos of tortoises chasing cats. b) Sitting on your own cradling a laptop on your knee WITHOUT a Fox’s chocolate viennese on the side. Unless you’re diabetic or a bit, well, weird, there’s only one answer to that question. In addition, although they’re technically not a biscuit (don’t get me started on that), Jaffa Cakes are an absolute must if you’re even going to think about writing a novel. And don’t go giving me any of this own-brand/Cadbury’s jaffa cake nonsense. 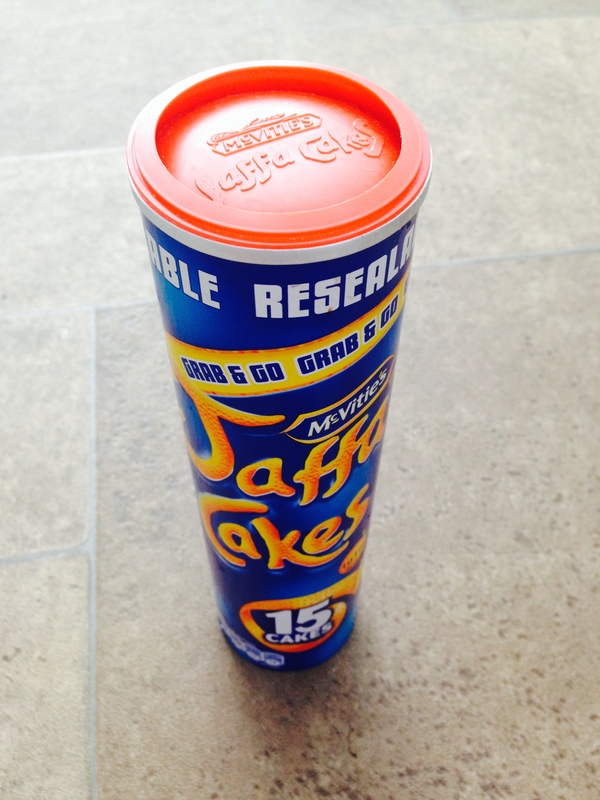 McVities are the jaffa cake kings, and long may that be the case. – Want to know why so much great music has come out of Manchester and Liverpool? Some might argue that it’s the strong working-class roots that creates an environment in which creative talent is nurtured. Those people are wrong. It’s the rain. When it pees down as often as it does in the north west of England, you’ve got to do something to amuse yourself. As for me, if it didn’t rain, I’d get nothing done. As soon as the sun comes out, I’m lured out of the house like a dog to a lamppost. Luckily (or unluckily), living in the north of England means there are plenty of wet days where I can grumble about the weather while actually getting some work done. He’d be there, hand up, desperate for attention, straining over the top of everyone and you’d be rolling your eyes, thinking, ‘Look, mate. Just because we’re busy rolling up bits of paper and trying to throw them into some girl’s hair, it doesn’t mean you have to show us up.’ Anyway, he’d always get the right answer to the point that even the teachers were sick of him. Where was I? Yes, Microsoft. Every time you turn on one of their machines there are pop-ups all over the shop wanting you to update Windows for no reason other than it’s got a ‘wah, wah, wah, look at me’-complex. Toddlers who drop their favourite teddies are less needy. – I’ve never had a day of work quite like the one when Virgin Media conked out. No Internet, no TV. At first I was horrified at the thought of not being able to constantly refresh the BBC Sport website but then I discovered that, miraculously, the world does continue to turn when the Internet’s broken. I wrote an absolute shed-load that day. Then the Internet started to work again and I was back to Buzzfeed looking at a list of Jason Statham’s top-10 movie moments. Lock Stock is number one if you’re wondering – as it should be. 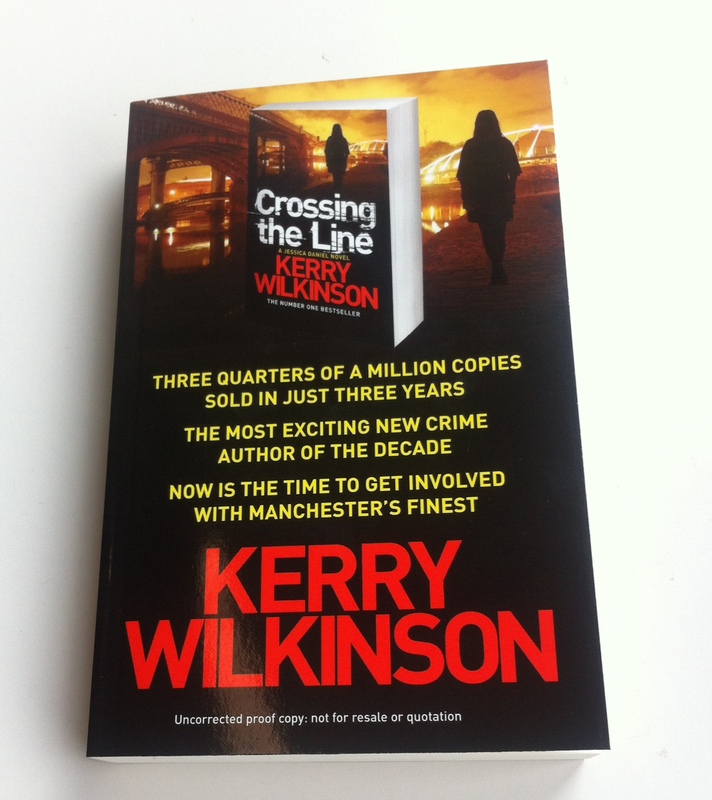 With just 18 days until the release of Crossing The Line, I’ve been running a competition to give away some proof paperbacks. There are a whopping 25 winners, each of whom win two books – one for the entrant, one for a pal. I had an enormous amount of entries – more than for any other contest I’ve run.